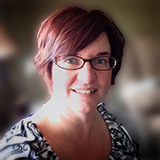 Posted in 52 Ancestors Challenge on August 28, 2015 by Amy Johnson Crow. Is anyone else really confused about when we are? Between school starting (which seems especially early this year), much cooler temperatures here in the Midwest (also early), and a “late” Labor Day, I am utterly confused as to when I am. It didn’t help that my mom reminded me that Christmas is 4 months from this past Tuesday. Sigh. The optional theme for Week 34 was “Non-population.” If you followed the theme, I hope you had as much fun digging into the non-population schedules as I always do! 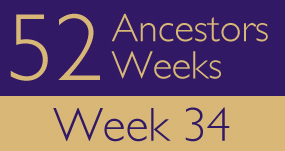 Leave a comment with a link to your Week 34 post and a little bit about your ancestor. As always, take a look at Week 33’s posts. Be warned — there are some sad stories in the “Defective, Dependent, and Delinquent” theme. It’s about how I use the agricultural census to describe my ancestors farms when writing about them. I also provide a link to the Census instructions to enumerators, which really helps me make sense of the various columns. Samuel Frederick SCHNEITER, my husband’s 2x great grandfather. Although I’ve used the agriculture census many times for people on my mother’s side, I haven’t found any of my husband’s ancestors on the non-population census reports as yet. And anyhow, this week I’m talking about one of the Swiss ancestors who amazingly worked elsewhere than on a dairy farm. I should mention that I got all excited about a dairy farm record that I thought was Ken’s great-grandfather, but then I calmed down and looked at the date and county again and realized it wasn’t the right person at all! I was able to locate the Pennsylvania agricultural schedules for the 1850 and 1880 federal censuses online through the Pennsylvania Historical and Museum Commission. I had never looked at these before. I found my 4x great grandfather and his 2 sons (one is my 3x great grandfather) on the same agriculture schedule in1850. I compared the three farms to see what they where doing on each. Very interesting information. I looked at my 3rd-great-grandfather’s enumeration on the 1860 U.S. Census agricultural schedule. I did my stepfather’s great grandfather because it is my stepfather’s birthday and I found his great grandfather on the 1890 Veteran’s schedule. HANNAH–George Newell Hannah–He farmed his entire life and I found him on the Agricultural Schedule. As far as I know Luxembourg didn’t have anything similar to the non-population schedules but I might be mistaken. Hope you enjoy my variation on the theme! I don’t have much documentation on Benjamin, but I do have a mortality schedule for him. Jonathan GOMBERT – I found him on the 1890 Veteran’s schedule in Carbon County, PA.
My great great grandfather George Garner Wescott appears in the 1890 Union Veterans’ Schedule. I wrote about an ancestor who would have appeared on a Non-population Schedule, had Indiana had any on Ancestry. I always knew my third great-grandfather was a farmer, but there was a lot I did not know about him. BOOTH, Joseph, listed under manufactures in the 1880 Non-Population Census. ANDREW, Ida Alice (1871-1956), a nurse who married late to a much younger Anglican minister in Winnipeg Manitoba and moved with him down to Omaha Nebraska. EMMINGER, Claude Ray 1890..trying to catch up. William Boweter (1841-1911)…a couple weeks late as I try to catch up. 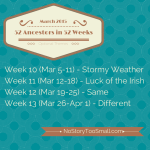 I haven’t found one ancestor in a nonpopulation schedule, so I wrote about what they are and how sometimes you still don’t have any luck.